Minority Rights Group > News > Blogs and podcasts > Rio Olympics 2016: Where are indigenous peoples? Barbara Pilz, MRG’s Communications Intern, reflects on the hidden story behind the recent Rio 2016 Olympic Games in Brazil, one where indigenous peoples’ land rights are ignored. As the Olympic torch was lit up in Rio, Brazil, the city looked even more ‘marvellous’ than it is reputed to be. Millions of pairs of eyes were watching this Latin paradise. Nature, indigenous peoples, and people from around the world brought together to tell a romanticized version of Brazil’s history. 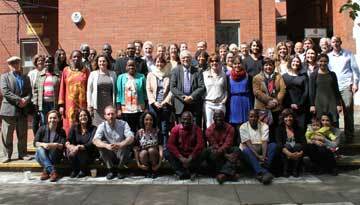 Decades of a well-consolidated stereotypical reputation have summed up the country into one word: diversity. In terms of colour, the Brazilian rainbow has seven broad ethnicities officially recognized by its bureau of statistics. However, the colours of Brazil don’t mix together as they should. Segregation, discrimination, racism and abuse are the most poignant words in the life of marginalized communities in the country. Unfortunately, Brazil is still a country where people who respond to the government census might declare themselves part of another ethnicity in the hope of escaping discrimination. In Brazilian politics there is no space for anyone apart from straight, older, white, wealthy men. Political representation is far from being even close to proportional, leaving minorities almost completely invisible. For indigenous peoples, invisibility comes along with several other consequences: identity suppression, hijacking of property, and silent genocide. According to the official indigenous organisation of Brazil (Funai), since the start of European colonisation in the 1500s, the population of indigenous people in Brazil has declined – from 100% to 0.26%. Such extreme shrinkage clearly has its roots in Brazil’s very own development as a colonized country, but what is happening now? Where are the Brazilian indigenous peoples of our time? Apparently, the Brazilian government cares neither about where they come from nor where they are going. The latest major threat in terms of property and land is related to a constitutional amendment proposed in the lower house of Brazil’s National Congress. The proposal, known as ‘PEC215’, would transfer responsibility of indigenous land demarcation from the President and their cabinet to the Legislative power. Essentially, this means that the process of determining if a portion of land belongs to an indigenous community or not would be more bureaucratic and lengthier, leaving a higher chance of arbitrary resolutions. Moreover, the proposal includes monetary reparation to agribusiness owners who might have “their” land delimited. 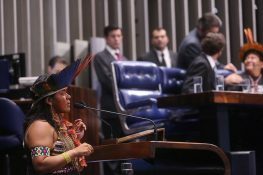 Further legislation proposals in Brazil also intend to either shorten or extinguish several processes for environmental licenses in the country, directly affecting the lives of indigenous communities. Unsurprisingly, communities have not been consulted about any of the above-mentioned decisions, a right that should be guaranteed under Brazilian and international law. 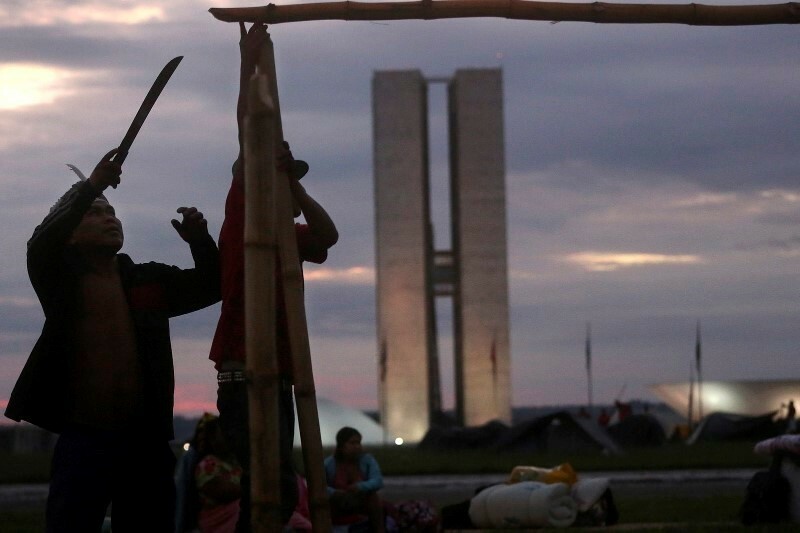 Violence against indigenous people in Brazil has become structural and present in every sector of its society. Indigenous peoples are marginalized and portrayed as exotic beings. Their voices are not heard; their protests are not seen. 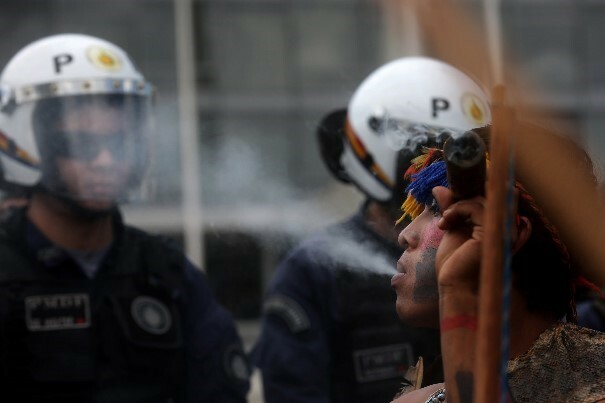 The indigenous peoples of Brazil should be everywhere, yet unfair legislation and powerful lobby interests continue to appropriate their land. This must stop.